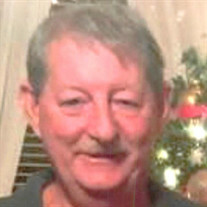 Johnny Wayne "Smoke" Winstead, age 63 of Morristown passed away Friday, October 12, 2018 at his residence. He was a member of Friendly View Baptist Church. He was preceded in death by his grandparents: Mack and Laura Winstead, Gene Collins, Myrtle Collins Weems and father Ray Winstead. Johnny Wayne is survived by two sons: Michael (Nina) Winstead and Justin (Elizabeth) Winstead. Grandchildren: Matthew, Kayla and Larisa Winstead. Loving mother: Delois Winstead; brothers: Raymond, Bobby (Jennifer) and Lynn Winstead, special sisters: Judy (Mack) Everhart and Renee (Tim) Hopkins; special aunts: Agnes (Johnny) Locke, Molly (Tex) Winstead and Marybelle Ellis; a niece and several nephews that he adored and many cousins. The family will receive friends, Sunday, October 14, 2018 from 2:00 PM until 4:00 PM with funeral services to follow at 4:00 PM with Rev. Benny Jones and Rev. Terry Greene officiating at Mayes Mortuary. Graveside services will be 11:00 AM, Monday, October 15, 2018 at 11:00 AM, at Central Baptist Church Cemetery.